Our so- called junior suites look pretty senior to us. 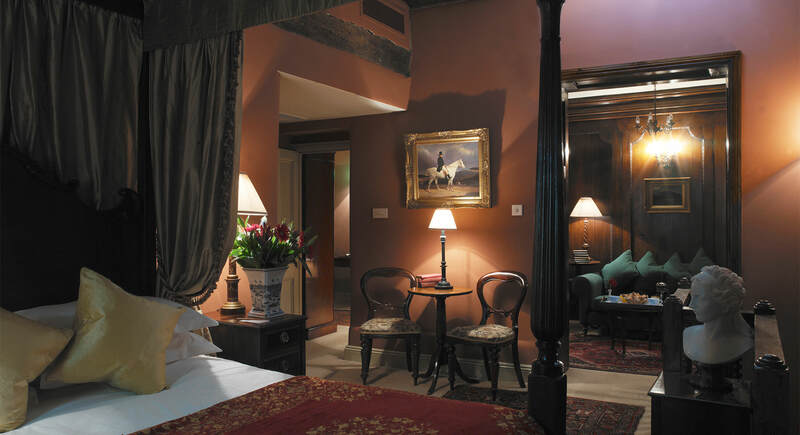 Dr Theophilus Garencières is a luxurious ground floor junior suite; the bedroom has a large four poster carved oak bed and a separate sitting area. Sir Walter De Manny, also on the ground floor, has a carved four poster bed and a beautiful panelled sitting room complete with small sofa and desk in a recess off the bedroom.